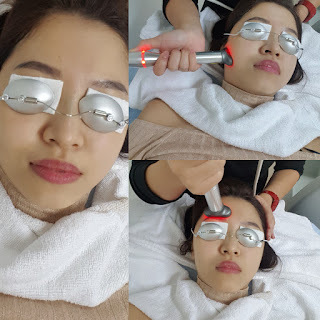 Refresh: Want ultimate zero pain face lifting? Yes as per my article title, are you looking for a ultimate face-lifting without the need of feeling pain at all? You have come to the right place! 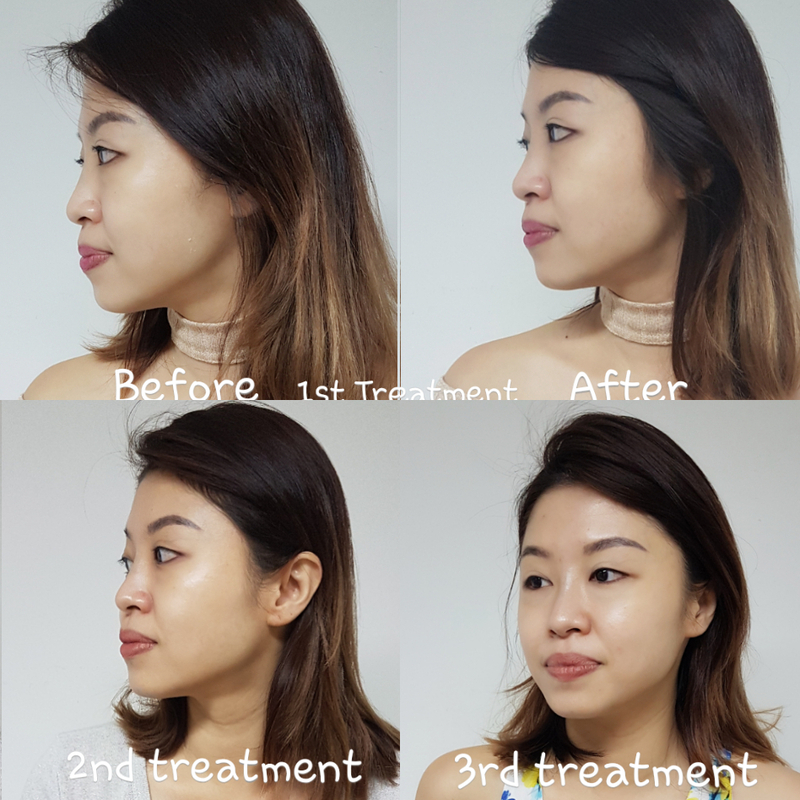 If you are my reader for sometime, you will know that I went to Korea last December and I did a non-invasive face-lift with Santa Hong clinic called Newthera but the result only last me for 6 months as I didn't do a follow-up treatment. Now I have found the upgraded version of Newthera here in Singapore! It's called "Sygma Lift". Thanks to TCS Medical, after doing the V-lift nose thread with them, I felt confident to have my face handle by them. I brought my little one along this time! He enjoyed the company of the friendly staff and their playroom! Anyway if you would like to read about TCS Medical Aesthetics and the V-lift nose thread, please click here to read more. What's Sygmalift and what are the benefits? 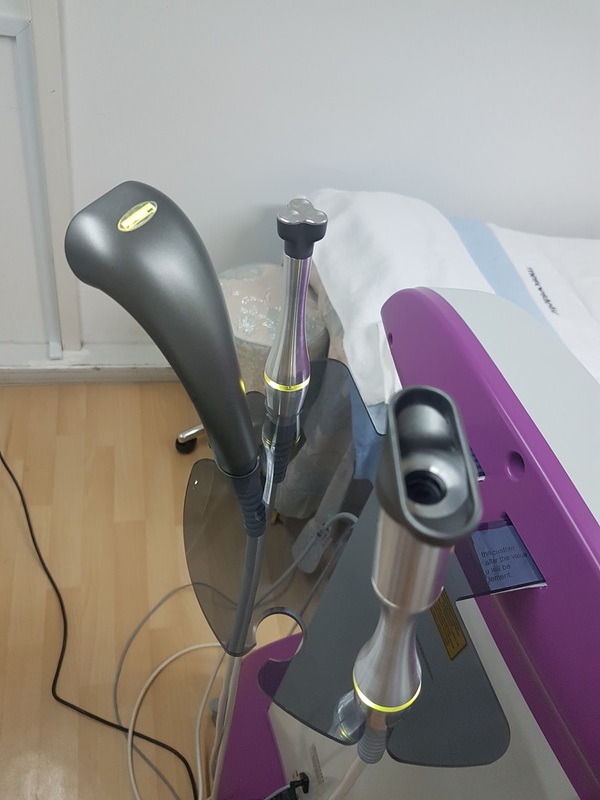 TCS Medical is one of the first aesthetics clinics in Singapore to offer one of the latest HIFU (High-Intensity Focused Ultrasound) technology aka the Sygmalift. 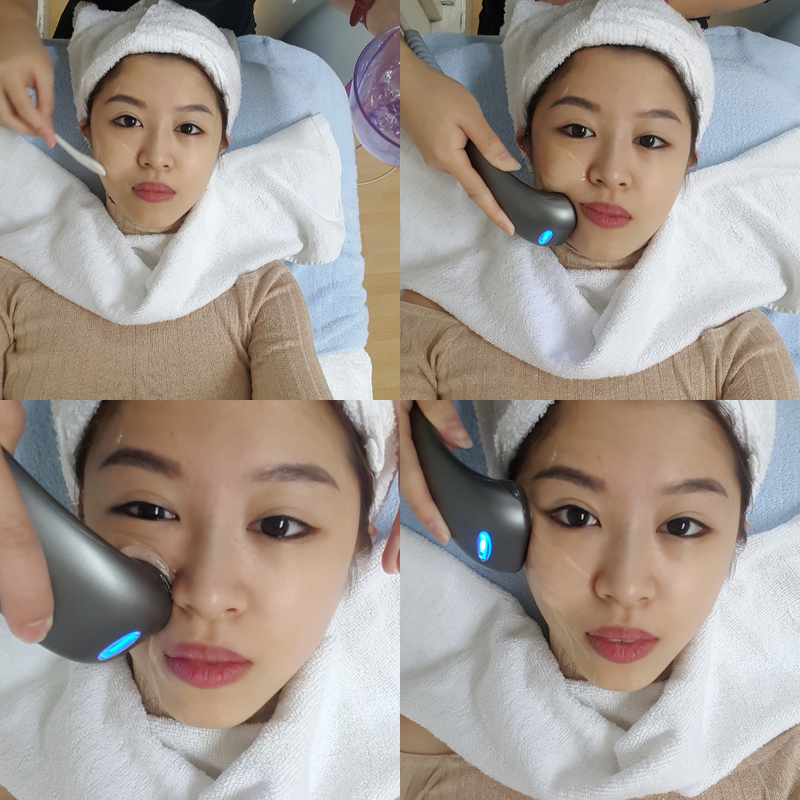 I'm proud to be the first few to experience a Non-Invasive, No Downtime & Painless HIFU treatment in Singapore! The SygmaLift treatment is ideal for patients desiring a more accentuated definition of the neck and jawline, eye contouring and brow lifting, as well as a tighter and more youthful appearance of the skin. 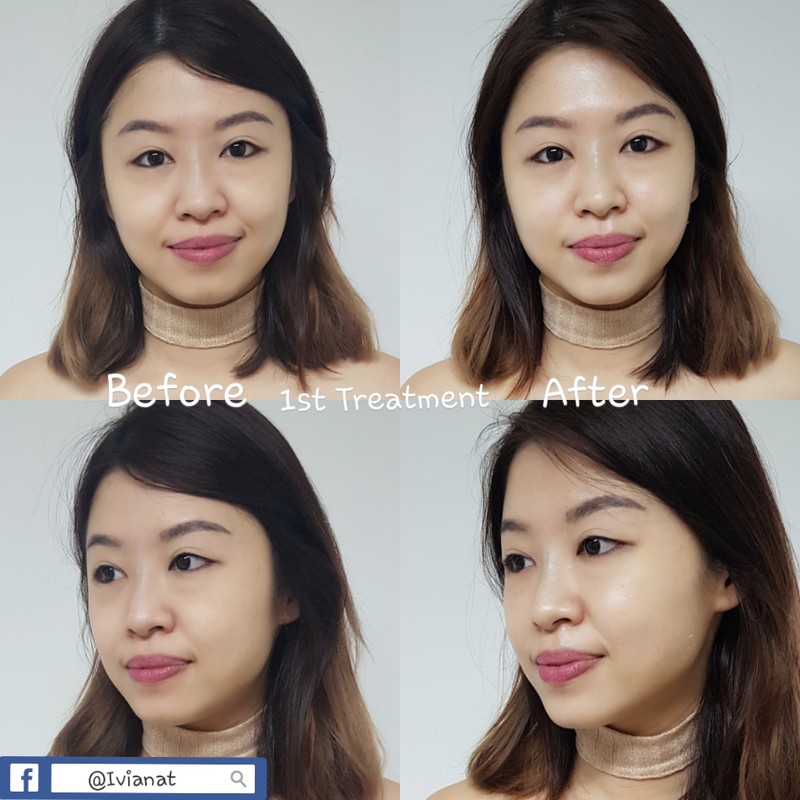 The SygmaLift treatment is suitable for 25 and 60 years of age, whether used to correct the signs of skin aging or for prevention of fine lines and laxity around the eyes, mouth, lips and jawline. 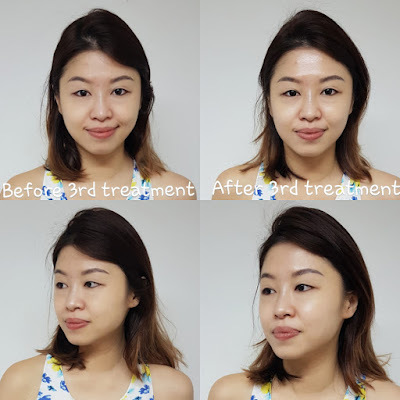 It is an alternative option for patients who do not want, or are contraindicated for surgical rejuvenation approaches, neurotoxin injections or dermal fillers. The treatment are very safe as the ultrasound energy bypasses the surface of the skin to deliver at depths of up to 5mm. This is unlike other ultrasound treatment or treatments for face lifting, SygmaLift is painless as the ultrasound energy is emitted in a fractionated mode. It gives great comfort to me and there is no need for painkillers or application of numbing cream. 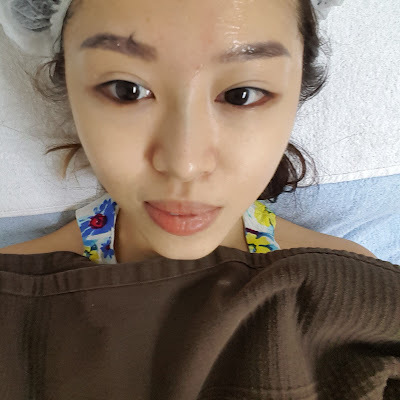 I almost fall asleep during the 1.5hrs duration of treatment for my entire face! Duration of the treatment can go from 15mins to 1.5hrs depend on the area of treatment. What's even better is there isn't any downtime for this treatment. This is an in-office procedure, allowing you to return to your normal routine immediately after treatment. No special aftercare is required. Look at my chubby cheek! After Sygma lift is done, a mild laser will be carried out for brightening effect. 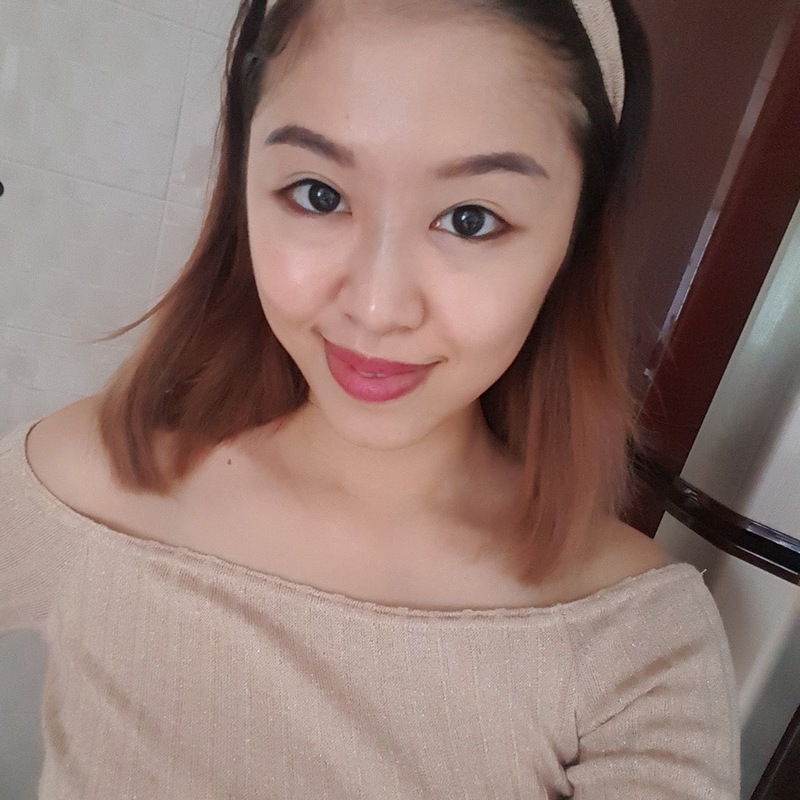 After doing half of my face, I notice immediate visible skin tightening and lifting. After everything is done, the nurse will apply skincare and sunblock to complete. Look at the difference just after one treatment! My Jaw line are more visible too! My face immediately felt more smaller and firmer. 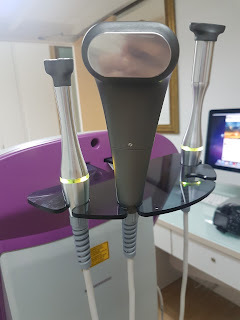 My 2nd treatment after 1 week. 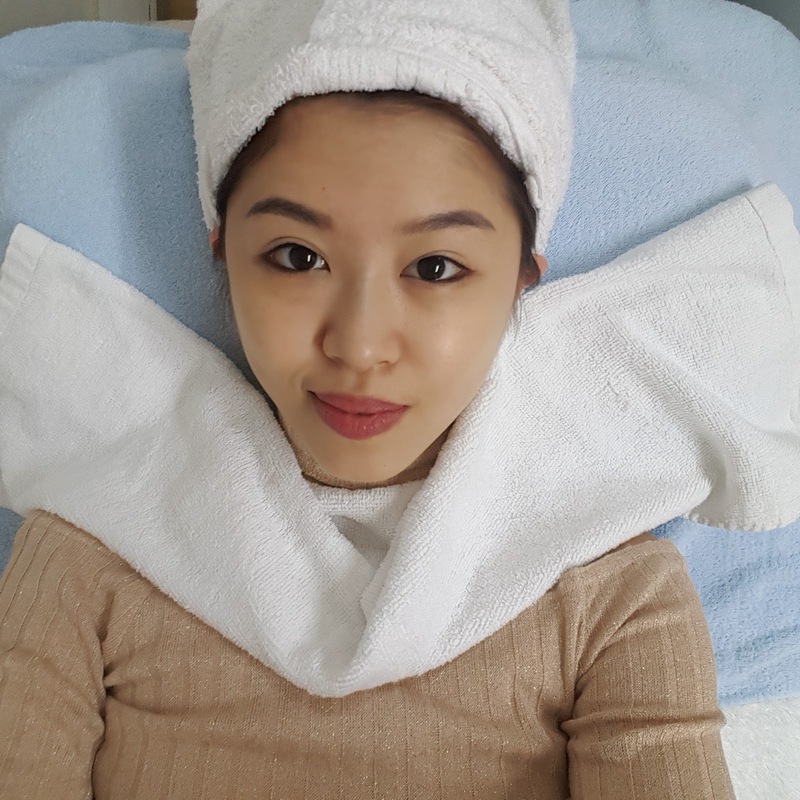 By the time 3rd treatment is completed, I can literally see my V-chin! Can you? 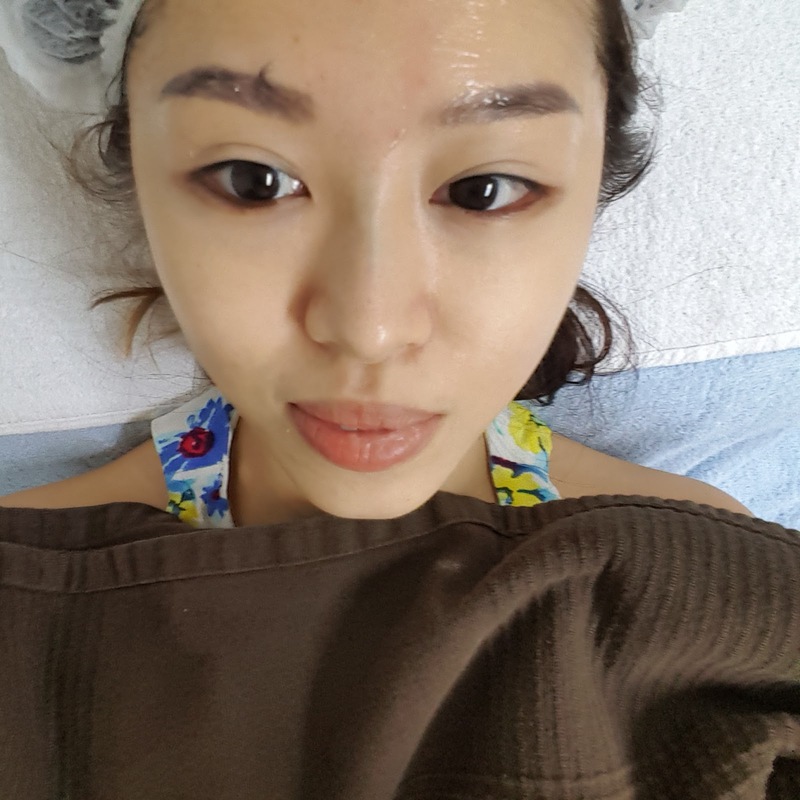 Even my facial therapist whom haven't see me for a month since my last facial exclaim that I have slim down a lot. But truth is my face is slimmer but m=I'm still weighing the same. 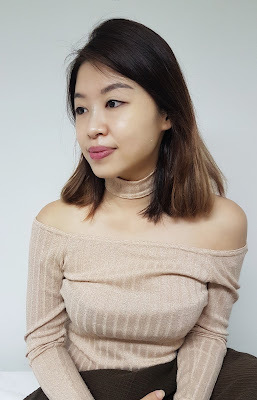 I told her that I actually went for face lifting and she's really impressed with the result as much as I do! 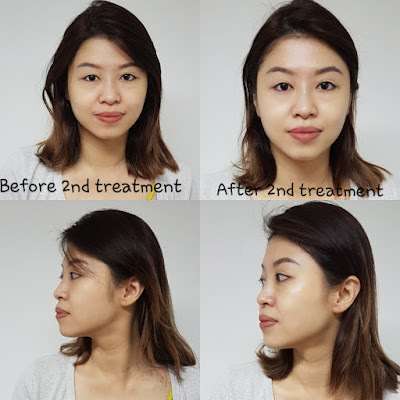 Look at the difference from before to 3times treatment. I'm told that the result will become more obvious progressively within 40 days as our skin continues to generate collagen. True be told I really see the difference daily! 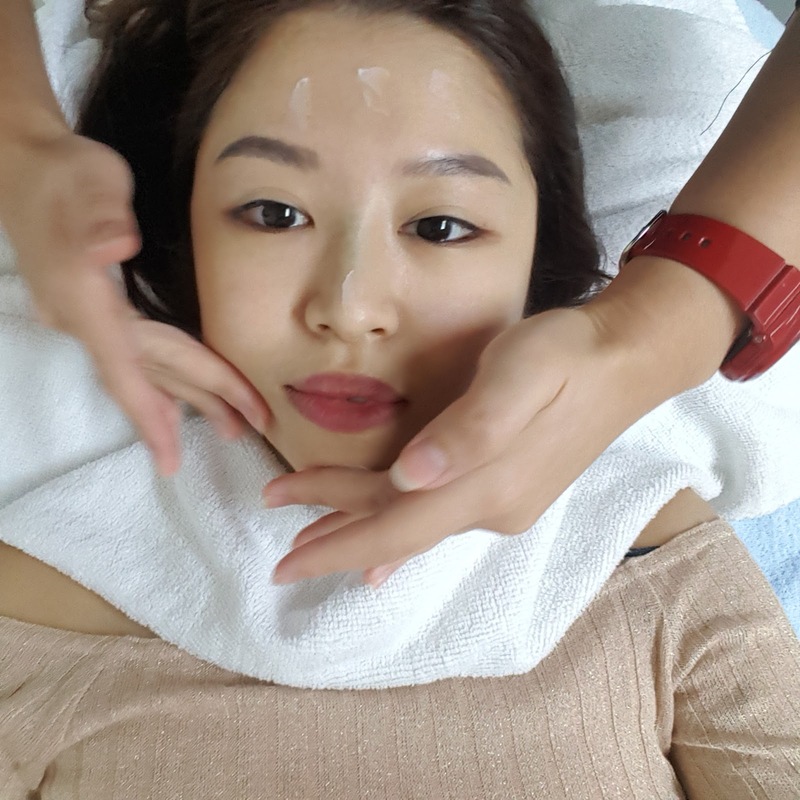 For a start, it is recommended to have one treatment per week, in the span of 3-6 weeks, depending on your age and skin condition. Their doctors will be able to advise you after the consultation with you. 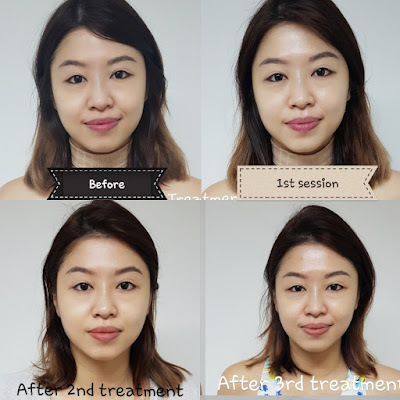 After the first course of treatment, the results can be seen progressively within 40 days and will continue to improve and effects can last up to 12 months. For best results, you can go back to them after 6 months for maintenance. Other than HIFU Sygmalift, they have some other various type of treatment available. For more information you should contact TCS directly. 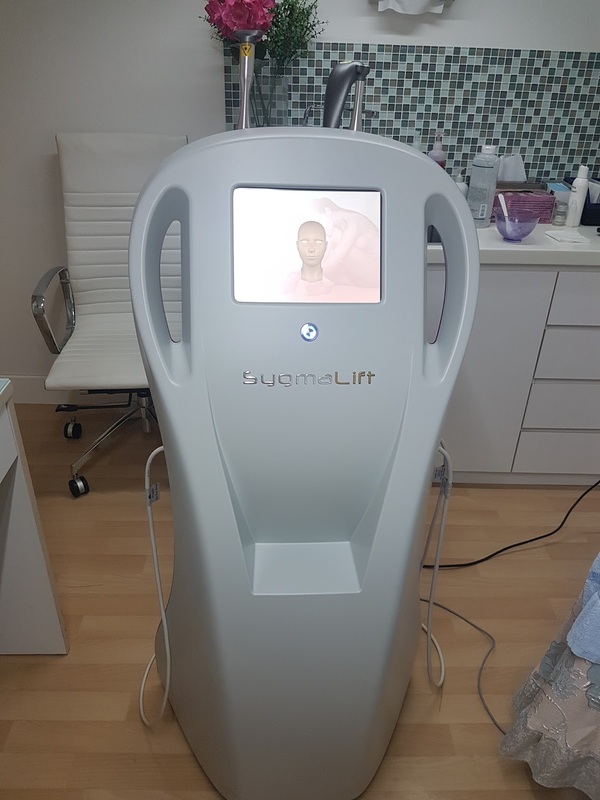 Or if you have some queries about the Hifu Sygma facelift, you can also leave me a comment and I will be glad to answer you to my best knowledge. Love the results and you're gorgeous as always. 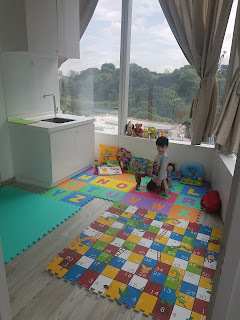 Bonus points for play area for boy-boy to play! Awww you are so sweet! Yes I love the play area as much as my son does! Isn't it great news that you can now do you follow up treatments without flying to Korea again? 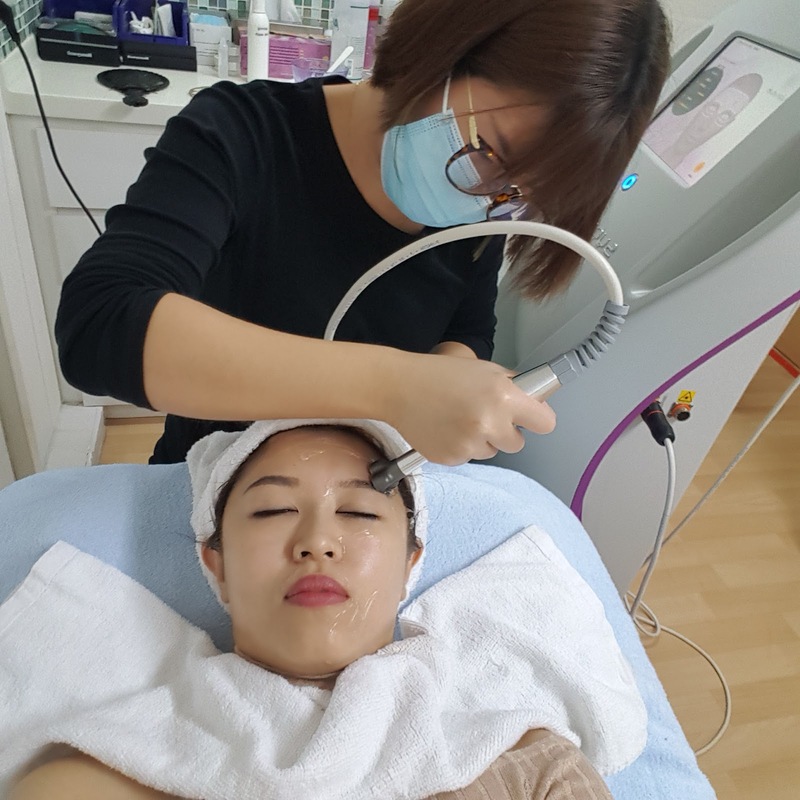 In fact, I think it is worth the trouble for me to go to Singapore just for treatments because you all are so advanced. What a different between the before and after. You skin looks more glowy with more tone. Nice! oh my gosh, your skin is flawless and it's glowing! Oh dear! No doubt there's significant changes after several treatment. However it really looks painful when they push your cheek with that machine. I can see the immediate improvements. I think i need such treatment too. Wow, this is good and you face look small n brighten. More v shape. oh wow that really work! your face looks slimmer and I can see your jaw bone now. I need this treatment too! Ahh this is pretty amazing! I need to get this done - hopefully it helps with my double chin too!! Really need this,the immediate effect make me overwhelmed. One day I would like to have it for myself.